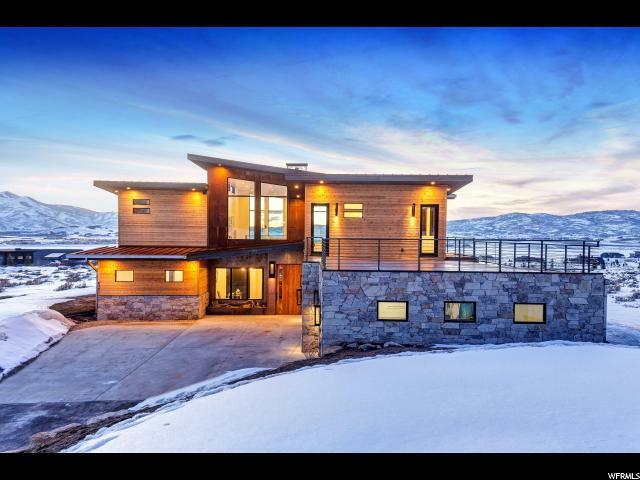 Born from the collaborative efforts of Utah's own Muve Group, D3CADEhomes, and Ridgeline Construction, this stunning Mountain Modern cabin assumes an imposing yet welcoming stance on an immense 1.08 acres. Featuring an all above grade floorpan with a main floor master bedroom, a custom Calcutta Marble Neolith indoor-outdoor fireplace, an open concept kitchen with attached butler's pantry, complete with a Thermador appliance package! Clerestory and seamless windows offer countless vantage points from the 5 bedrooms while all five bathrooms exude luxury via marble vanities with waterfall sinks, floor-to-ceiling marble wall tiling and sleek, premier faucets and hardware. 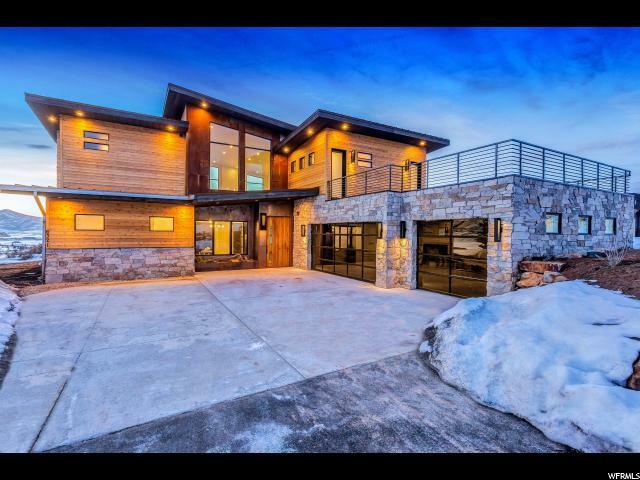 Complete with laundry on each floor, an office and a 3 car garage, this home was sited to the hand selected lot, bordering open space, to perfectly capture the forever ski resort & sunset views Promontory is known for. 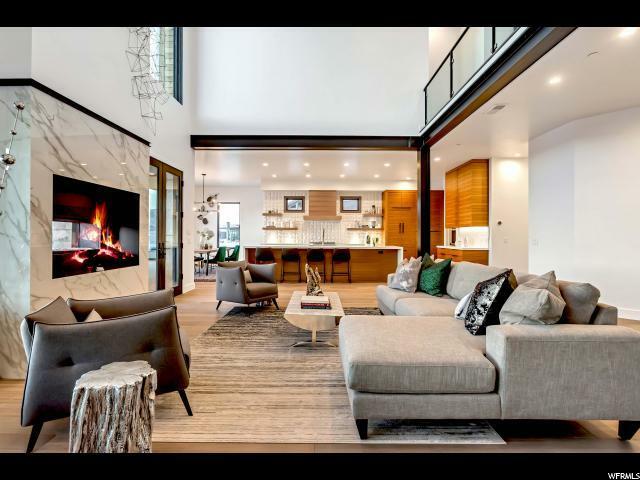 Experience atypical 'cabin' design conceptualized with entertaining in mind as the expansive kitchen and dining area adjoin a truly 'great room' with a vast living area boasting 20-foot loft ceilings and mid-Century modern-inspired lighting fixtures. Coast along Tasmanian oak floors and ascend the floating staircase with timber treads and glass and steel balustrade to the upstairs living retreat. 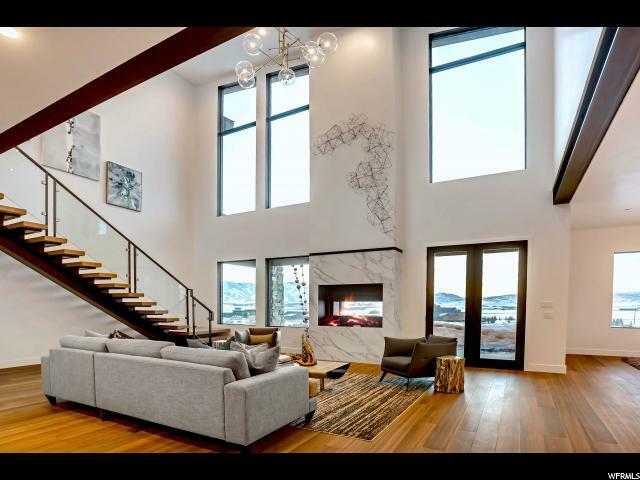 Live awash in natural light and alpine country views within Utah's highly desirable Promontory Club in this thoughtful abode where sparkling, seamless white waterfall countertops appear to continue for days. Where timber-paneled floating shelves and book-matched cabinetry with coordinating range hood convey contemporary style while imparting an alluring sense of warmth and relaxation. Gaze into the sunset on one of 3 fabulous outdoor living spaces before retiring to your master suite with sinks made from coveted Silver Macaubas Quartzite. Draw a hot bath in the Crosswater soaking tub or rinse off in the spacious shower with Brizio trimmings before drifting to sleep in this marvelous space truly made fit for a king & queen! Sq/ft based off building plans.